Are you ready to eliminate your pain? It is Time to Feel better fast, with chiropractic care. Call (813) 831-8321 Dr. Steve Edelson. Auto Accident & Pain Relief in the Tampa Florida area. Dr. Edelson has over 20 years of experience. Need a Chiropractor? Look no further. 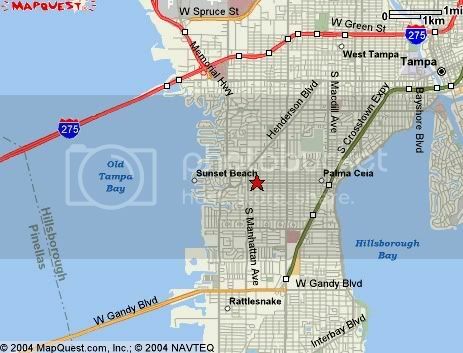 Our office is located in South Tampa (33629, 33611). If you suffer from joint pain, ie. jaw pain, neck pain, back pain, or extremity pain, then I can help. Headaches bother you? I can help. Were you in an Automobile Accident? I can help. I utilize many chiropractic techniques to get you well, including: Diversified, S.O.T., Activator Methods, Thompson Drop, Cox Flexion Distraction, Gonstead, Palmer, and Brimhall. I use vibratory percussion, cold laser, nutrition, Massage, and several other physio-therapies as well. My staff is friendly and my techniques are gentle. Isn't it time to get well? Chiropractic helps you to feel better fast, naturally. Here is a blog article that explains what chiropractic is: Blog article. If you have been injured in an automobile accident, chiropractic can help you. Waiting only increases the chances that scar tissue will form around your injured joints. Keep in mind the new personal injury insurance law in Florida: you must seek care within 14 days of the accident to get receive benefits from your policy. 4250 Bay to Bay Blvd. Shoulder pain, elbow pain, wrist pain, hip pain, knee pain and ankle pain are often helped with chiropractic adjustments. Edelson Wellness, Chiropractic, & Massage maintains an active presence on many popular search and social media websites. Select your favorite website below to stay connected & review us. I also correct jaw and skull misalignments. Cranial adjustments can be very helpful with chronic headaches and sinus problems. Walk ins are welcome, but appointments are recommended. If you plan to come in without an appointment made in advance, it is always better to call first just in case of a change in the schedule or to see how long of a wait you may have. Do you need a Massage? For the past 20 (almost 21) years it has been my pleasure to provide quality chiropractic to people who came to my clinic. I would like to personally invite you to make an appointment today, and stop experiencing pain. Start sleeping better, and live your life to your fullest potential. Let me find your subluxations (joint problems/nerve irritation) and eliminate them. This will allow your body to function as it should. Fast Pain Relief from head to toe - the natural way! Located in the heart of South Tampa (33629), the chiropractic physician at Edelson Wellness Center is dedicated to helping you achieve your wellness objectives -- combining skill and expertise that spans the entire chiropractic wellness spectrum. Dr. Steve Edelson is committed to bringing you better health and a better way of life by teaching and practicing the true principles of chiropractic wellness care. Dr. Edelson is located in SOUTH TAMPA. If you need a chiropractor in Tampa, or in the St. Petersburg area, call for your appointment today. Remember to share this web site with your friends and family. Are you a runner? Exercise is important, but can occasionally cause joints to misalign. I often see people who love to run with misalignments to the joints of the leg (ankle, knee, and hip). Chiropractic should be a part of a runners protocol to stay in optimum alignment and to have optimum performance and health. people have visited this Tampa Chiropractor site. Wherever you have joint pain, chiropractic can help. Do you have elbow pain? Try Chiropractic. Some chiropractors can even correct skull misalignments. To strengthen your core, which will help diminish frequent back pain, I recommend Pilates - in particular - Planking. While you are planking, add some neck exercises. Pain to the arm and wrist is often due to irritated nerves from a joint misalignment. Chiropractic can help. Therapies other than chiropractic, like massage, also are very helpful to help you feel better fast. Call us to schedule a massage to go along with your chiropractic adjustment. Lacking the ability to speak, newborns cry, indicating that something isn’t right. Chiropractic can help if a joint is out of it's normal alignment (which can cause colic - like symptoms). There has been a dynamic cultural shift towards Preventative and Proactive Health Care in the past decades. People’s lifestyle choices have changed; we now know that being healthy is more than just being pain-free and illness-free, we know about the benefit of regular exercise, eating organically and wholesomely. We go to the Dentists regularly to keep our teeth healthy, so that for many future years, we can wear a bright smile and not have tooth decay. Have you ever thought this way about your spine? Back Pain often occurs in two areas - above and below. Sinus issues, resulting in headaches and sinus discomfort can often be helped by a chiropractor.